CFW/ Precision Metal Components has the capability to meet the strict demands of the defense ordnance industry. 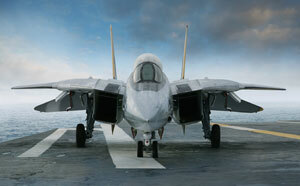 We have successfully delivered many critical components for defense manufacturers. For these strict requirements we partner with our customers at every level of development. Case in point, a major government contractor presented us with the challenge of producing a missile part that had previously been machined over budget, behind schedule, and with a very low manufacturing yield. CFW/PMC provided the solution to this challenge. (We are unable to elaborate further regarding this part or the process involved due to proprietary obligations). The end result from our efforts was a part produced at one-third the cost, on schedule, and with dramatically improved throughput yield. As a result of this effort this customer has now been with us for over 20 years. You provide the challenge and we will provide the solution.